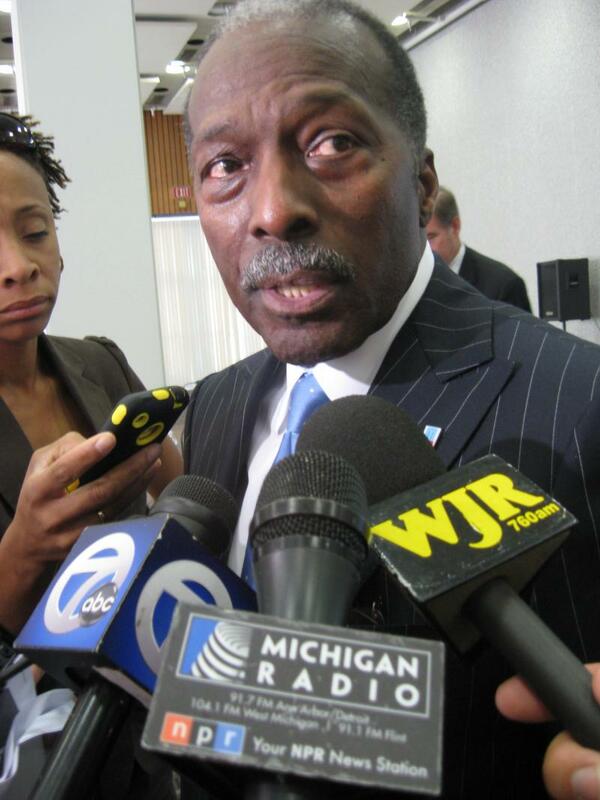 Detroit Public Schools Emergency Manager Roy Roberts was supposed to leave his post tomorrow. Today, he announced he will stay on the job for another six months. In a letter to the staff at Detroit Public Schools, Roberts said Gov. Rick Snyder agreed to extend his contract. Many of you are probably asking yourselves why I requested this contract extension. My answer is really quite simple, and is the reason I took this job in the first place – it’s about educating the children of Detroit. strategic plan, developed by all of us, that focuses on neighborhood-centered, quality schools. I want to do everything I can to ensure that we complete this school year in keeping with this trajectory – and help begin the preparation for an even more successful 2013-14 academic and fiscal year. The Detroit News reports that Roberts will work on a budget for the coming school year for the district "which educates about 53,000 students and grapples with a graduation rate of less than 70 percent." DPS has been under state control since 2009. It's expected to eliminate its deficit by 2016, a condition that would allow the governor to lift the financial emergency. Gov. Snyder released a statement thanking Roberts for his work. "Roy's devotion to the students, families and teachers of Detroit Public Schools has been apparent since his appointment in 2011. His willingness to delay his personal plans and continue providing critical vision and leadership to the district for the next six months underscores that commitment."